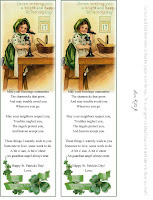 Visiting Teaching Tips, Handouts and Ideas: Here's some St. Patricks Day wishes for you! and for those you teach. Here's some St. Patricks Day wishes for you! and for those you teach.